Not everyone can boast their own 137 sqm area on a shared stand. 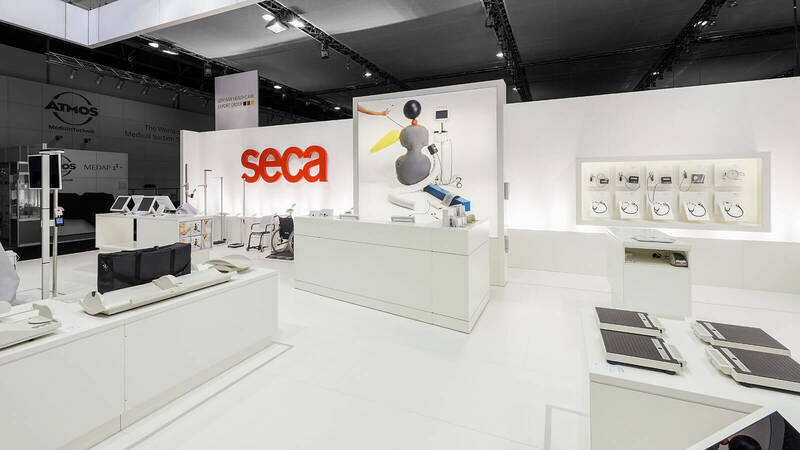 The German Healthcare Export Group, however, gave Hamburg-based company seca exactly that. 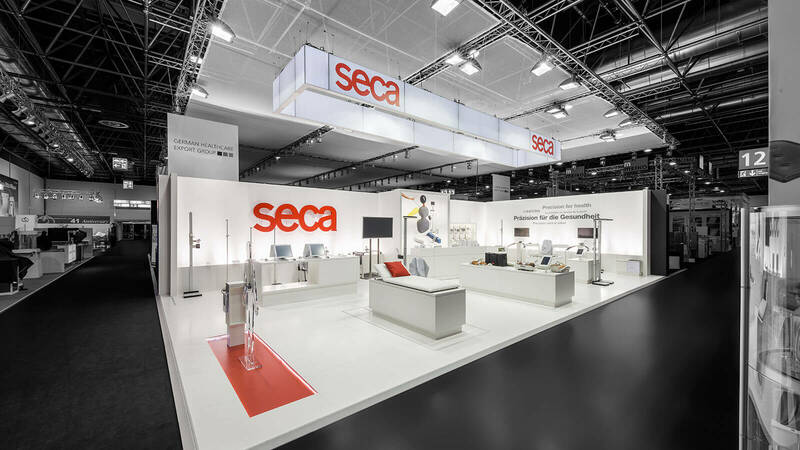 The advantage was that we could concentrate on what really mattered when designing the space, namely the challenge of expertly showcasing the high-quality exhibits of this manufacturer of medical scales. 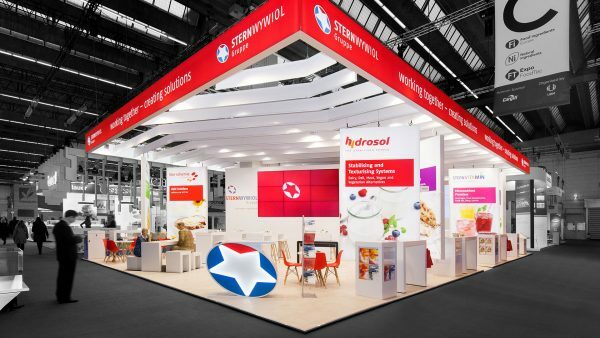 Sophisticated lighting, lowered floor sections and the use of the clinical colour of white combined with the corporate colour of red give the stand its eye-catching design. Clear separation and a focus on the essentials. 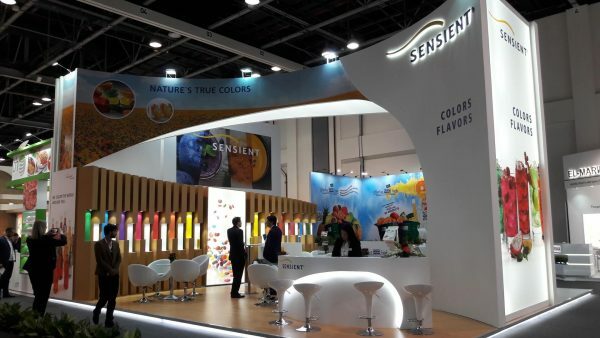 What’s more, there is plenty of space for consultations on the exhibits and entertaining the industry audience at the shared stand next door. 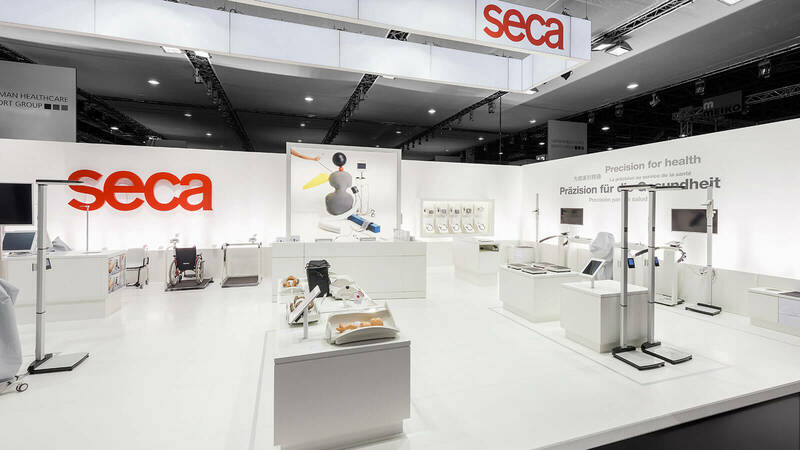 The stand has been designed by project manager Matthias Haster for a two-year run at Medica in Düsseldorf. 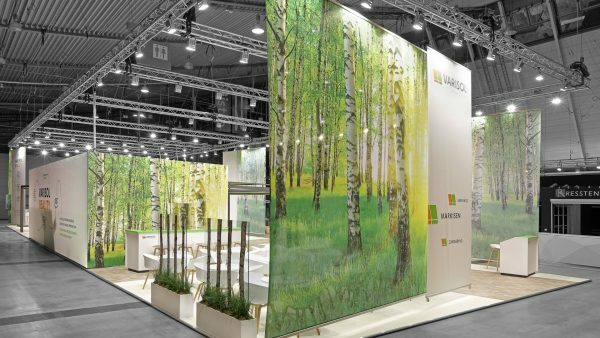 Our Swiss regular customer Microlife also appeared at the fair for the third time running, with a 63 sqm stand in a tried-and-tested design.